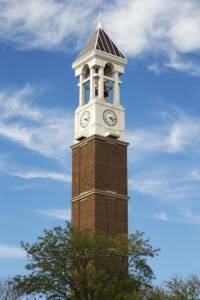 If you’ve wanted to know what some of the faculty at Purdue University have been researching in the recent past, you can get an up close and personal look – and talk with faculty about their research – during the annual Purdue University Research Center in Economics (PURCE) Economic Ideas Forum on April 18. Research topics include education, crime, poverty, discrimination in the labor market, the opioid crisis, the science of motivation and more. The Economic Ideas Forum is a free event that runs from 1:30 p.m. to 5 p.m. in Krannert’s Rawls Hall. A fireside chat on trade policy and negotiations strategy from 5:30 p.m. to 7 p.m. will feature special guest speaker Dr. Doug Irwin of Dartmouth College. Irwin is the “pre-eminent economic historian of U.S. trade and trade policy over the past 150 years,” according to a press release from PURCE. The fireside chat will take place at Purdue’s Fowler Hall and also include David Hummels, the Dr. Samuel R. Allen Dean of the Krannert School of Management and Krannert Associate Dean Dr. David Schoorman. For more details and the full schedule for the Economic Ideas Forum, visit Krannert.purdue.edu/centers/purce and click “Events”. Those interested in attending are asked to register. All activities on April 18 are free and open to the public; snacks and drinks will be made available throughout the day. For more information, contact purce@purdue.edu.